Cases against doctors and hospitals are difficult at best. There are many hurdles that have to be cleared to succeed in medical malpractice litigation. 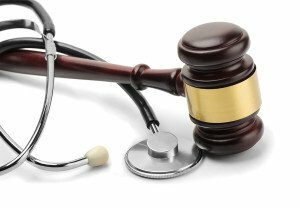 A big hurdle to prevailing is the statute of limitations, which is the time you have to bring a claim against a health care provider. Statutes of limitations in medical malpractice cases are generally shorter than the time limits for other cases. The law in most Missouri medical malpractice cases is that you have only two years from a health care provider’s negligent act to file your suit. In contrast, in a general personal injury case in Missouri (such as a car accident), you have five years to file your suit from the date of the negligence. Kansas also has a two-year statute; sometimes that deadline can be “tolled” or extended, but you should never count on that being possible. What this means is if you think you may have a case against a doctor, hospital or nursing home, you need to call an attorney right away. The attorney needs to collect records and obtain expert witnesses to review and support the case before you can proceed. This takes time. One of the most difficult things I ever have to tell a prospective client – especially one who has been severely injured by a medical mistake – is that he or she was already out of time to file their case before calling me. The times I have had to give that unfortunate news to people over the years have been frustrating for me as a lawyer, because under the law there is nothing that can be done to fix the problem once the statute of limitations has expired. Our firm works on a contingency fee basis and there is no charge to call the office, talk to a lawyer and see if your case is one to move forward with. There is no reason not to call us as soon as you believe you might have a claim. So if you or a loved one believes you may have a case against a health care provider, please pick up the phone and give us a call!